FIRE Africa was launched in 2012 to support one of the world’s most under-connected regions. Lessons learned from ISIF Asia and FRIDA supported the establishment of the FIRE Africa program, from the programmatic level (defining categories and funding mechanisms) to the operational level (sharing the website platform, communications strategies, evaluation mechanisms, reporting tools etc). 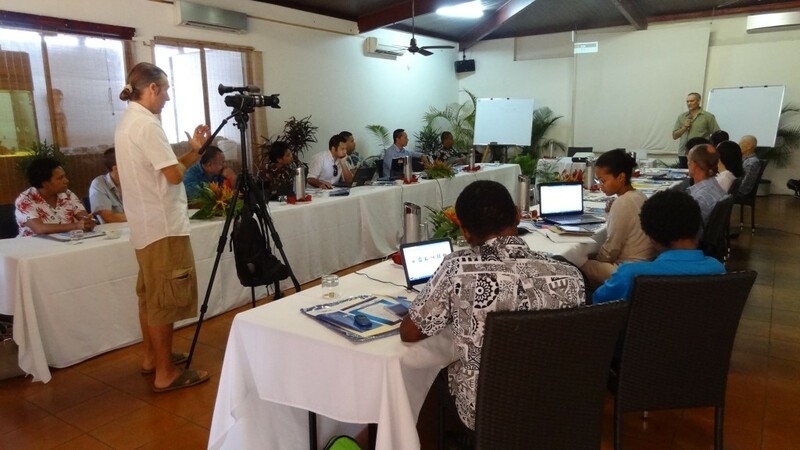 Patricia Senghor, the FIRE Program Coordinator (2013-2015), joined the AFRINIC team in early June 2013 and attended the “Grant Proposals Development Workshop for the Pacific Islands” organized by ISIF Asia (Vanuatu, June 2013). While there, she received support from the ISIF Asia coordinator, Sylvia Cadena, to navigate the Seed Alliance documentation and was also able to get a better understanding of the regional program administration processes and procedures. Special focus was devoted to the overlaps between the IDRC and Sida proposals and budget allocation. The content provided during the workshop served as a starting point for FIRE Africa to organize a workshop in Abidjan (Cote d’Ivoire) targeted to applicants coming from post-conflict and emerging economies, from Francophone and Lusophone economies, as well as from other isolated regions in Africa.